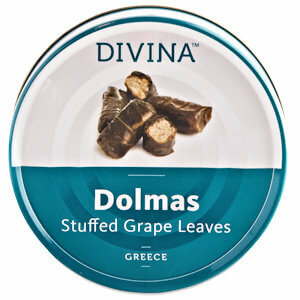 Divina's Stuffed Grape Leaves are tender and delicious. The leaves are early harvest Sultana varietal grape leaves filled with long-grain Italian rice. 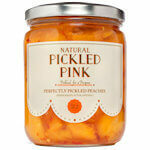 Sweet and tender with lemon and herb finish. These stuffed grape leaves are commonly known as Dolmas, but the true meaning of Dolma is stuffed vegetable dishes in the cuisines of the former Ottoman Empire and surrounding countries. Other vegetables that are stuffed include zucchini, eggplant, tomatoes and peppers. 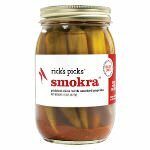 Ingredients: Rice, water, vine leaves, soybean oil, onions, dill, salt, citric acid (acidity regulator), mint, black pepper.